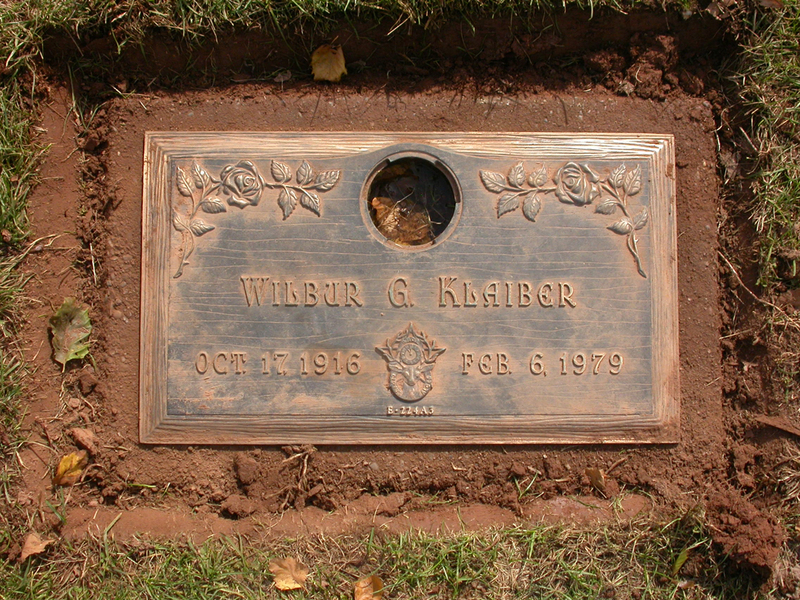 Wilbur was the son of Gustave (Gus) Klaiber (1894-1967) and Marie (Mamie) Bauer (1894-1980), and the husband of Isabelle Smith (1918-2007). The emblem in the middle of the marker that looks like a deer is the symbol of the Elks Club. Wilbur was a member of the Toms River, NJ Elks Club.